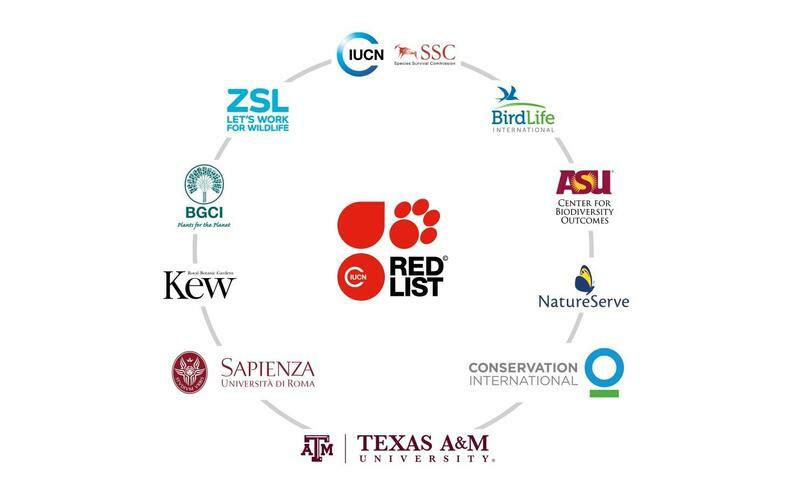 Initially formed in 2000 (as the ‘Red List Consortium’), the Red List Partnership provides support for The IUCN Red List and the wider biodiversity assessments initiative (see Red List Partnership Agreement for details). The production of The IUCN Red List of Threatened Species™ is made possible through the active participation of the Red List Partners and their respective networks. As a result, the growing number of species included on the Red List represents an enormous investment of time, expertise and financial resources by a large number of individuals and organizations. IUCN gratefully acknowledges the contributions, dedication and commitment from its Partners and the extensive network of people who make the production of The IUCN Red List possible. IUCN, International Union for Conservation of Nature helps the world find pragmatic solutions to our most pressing environment and development challenges by supporting scientific research; managing field projects all over the world; and bringing governments, NGOs, the UN, international conventions and companies together to develop policy, laws and best practice. 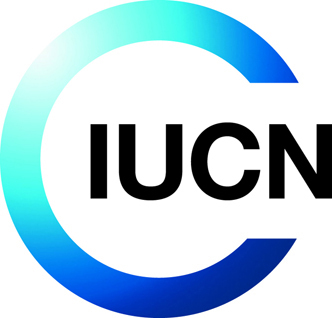 The world's oldest and largest global environmental network, IUCN is a democratic membership union with more than 1,000 government and NGO member organizations, and over 13,000 volunteer scientists and experts in some 160 countries. IUCN's work is supported by over 1,000 professional staff in 60 offices and hundreds of partners in public, NGO and private sectors around the world. IUCN's headquarters are located in Gland, near Geneva, in Switzerland. For more information, visit their website, or follow them on Twitter (@IUCN) or Facebook. 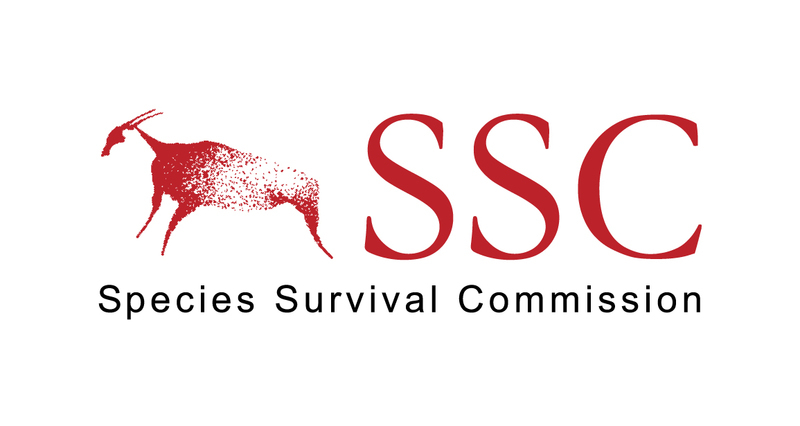 The Species Survival Commission (SSC) is the largest of IUCN’s six volunteer commissions with a global membership of more than 7,500 experts. SSC advises IUCN and its members on the wide range of technical and scientific aspects of species conservation, and is dedicated to securing a future for biodiversity. SSC has significant input into the international agreements dealing with biodiversity conservation. For more information, visit the SSC pages on the IUCN website. Ranked #1 in the U.S. for innovation, Arizona State University (ASU) is a new model for American higher education, combining academic excellence, entrepreneurial energy and broad access. It serves more than 70,000 students in metropolitan Phoenix, AZ. ASU champions intellectual and cultural diversity, and welcomes students from all fifty states and more than one hundred nations across the globe. 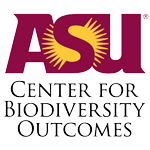 ASU’s Center for Biodiversity Outcomes (CBO) is a partnership between the Julie Ann Wrigley Global Institute of Sustainability (GIOS) and the School of Life Sciences (SoLS) via partnerships with NGO’s, companies, and governmental organizations. For more information, visit their website or follow them on Twitter (@biodiversityasu). 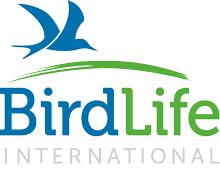 BirdLife International is a global partnership of conservation organisations (NGOs) that strives to conserve birds, their habitats and global biodiversity. Together they are 121 BirdLife Partners worldwide – one per country or territory – and growing. As the world’s largest Nature Conservation partnership BirdLife International has more than 10 million members and supporters, over 4,000 local groups, and nearly 8,000 staff supported by 5,000 volunteers. For more information, visit their website or follow them on follow them on Twitter (@BirdLife_News) or Facebook. Botanical Gardens Conservation International (BGCI) supports the development and implementation of the Global Strategy for Plant Conservation (GSPC) at a global, regional, national, and local level. They work directly with their members and other plant conservation organisations, carrying out threat assessments, seed conservation, ecological restoration, plant health and education projects around the world. For more information, visit their website or follow them on Twitter (@bgci). CI is working to build a healthier, more prosperous and more productive planet through s​​cience, policy and partnerships with countries, communities and companies. CI employs nearly 1,000 people and works with more than 2,000 partners in 30 countries. Over the years, they have helped support 1,200 protected areas and interventions across 77 countries, protecting more than 601 million hectares of land, marine and coastal areas. For more information, visit their website or follow them on Twitter (@ConservationOrg) or Facebook​​. NatureServe is a non-profit conservation organization dedicated to providing the scientific basis for effective conservation action. Through its network of over 80 natural heritage programs and conservation data centres in the United States, Canada, and Latin America, NatureServe provides a unique body of detailed scientific information and conservation biodiversity expertise about the plants, animals, and ecosystems of the Americas. For more information, visit their website or follow them on Twitter (@natureserve) or Facebook. The Royal Botanic Gardens, Kew (RBG Kew) is a world famous scientific organization, internationally respected for its outstanding collections as well as its scientific expertise in plant diversity, conservation and sustainable development in the UK and around the world. Kew Gardens is a major international visitor attraction. Kew's 132 hectares of landscaped gardens, and Wakehurst (Kew’s Wild Botanic Garden), attract over two million visitors every year. Kew was made a UNESCO World Heritage Site in July 2003 and celebrated its 250th anniversary in 2009. Wakehurst Place is home to Kew's Millennium Seed Bank, the largest wild plant seed bank in the world. Kew’s scientific work spans more than 100 countries and involves over 400 collaborating institutions worldwide. For more information, visit their website, or follow them on Twitter (@kewgardens) or Facebook. With over 700 years of history and 145,000 students, Sapienza is the largest University in Europe, the second in the world after El Cairo: a city within the city. The University includes 11 faculties and 67 departments. In Sapienza there are over 4,500 professors, and 5,000 administrative and technical staff. Sapienza offers a wide choice of courses including 300 degree programs and 200 specialized qualifications. Students coming from other regions are over 30,000 and the foreign students are over 7,000. Sapienza plans and carries out important scientific investigations in almost all disciplines, achieving high-standard results both on a national and on an international level. Professor Luigi Frati has been the Rector of Sapienza University since November 2008. For more information, visit their website, or follow them on Twitter (@RicercaSapienza) or Facebook. From humble beginnings in 1876 as Texas' first public institution of higher learning, to a bustling 5,200-acre campus with a nationally recognized faculty, Texas A&M University (TAMU) is one of a select few universities with land-grant, sea-grant and space- grant designations. With an enrolment of about half men and half women, 25 per cent of the freshman class are the first in their family to attend college. Here, 39,000-plus undergraduates and more than 9,400 graduate students have access to world-class research programs and award-winning faculty. Texas A&M has two branch campuses, one in Galveston, Texas, and one in the Middle Eastern country of Qatar. This research-intensive flagship university with 10 colleges was recently ranked first in the nation by Smart Money magazine for "pay-back ratio" (what graduates earn compared to the cost of their education). The 2011 U.S. News and World Report ranked Texas A&M second nationally in their "Great Schools, Great Prices" category among public universities and 22nd overall. Many degree programs are ranked among the top 10 in the country. For more information, visit their website, or follow them on Twitter (@TAMU) or Facebook. ZSL (Zoological Society of London) is an international conservation charity working to create a world where wildlife thrives. From investigating the health threats facing animals to helping people and wildlife live alongside each other, ZSL is committed to bringing wildlife back from the brink of extinction. Our work is realised through our ground-breaking science, our field conservation around the world and engaging millions of people through our two zoos, ZSL London Zoo and ZSL Whipsnade Zoo. For more information, visit their website, or follow them on Twitter (@OfficialZSL) or Facebook. Institutions that are potentially interested in joining the Red List Partnership should look very carefully at the Partnership Agreement to understand all the rights and obligations, etc. We invite any institutions interested in becoming a Red List Partner to contact us via [specific contact email address to be provided].